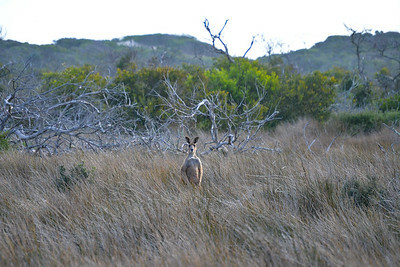 Images from Victoria's wild Wilsons Promontory National Park. 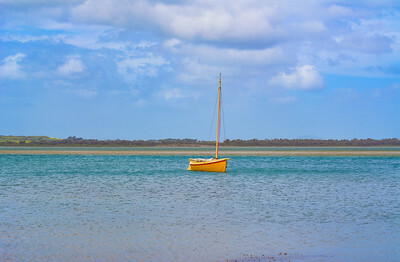 A lone boat floats in an estuary near Wilsons Promontory National Park. 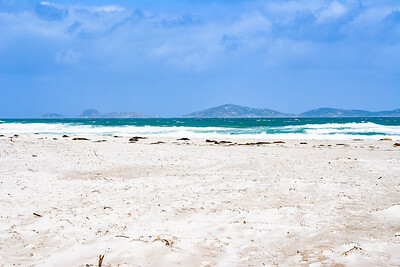 White sandy beach on a windy day in the Wilsons Promontory National Park.